Huawei has unveiled their most awaited smartphones in Mate 20 series dubbed as Mate 20 and Mate 20 Pro today in London. The spotlight feature of the Huawei Mate 20 Series is the latest HiSilicon Kirin 980 chipset. 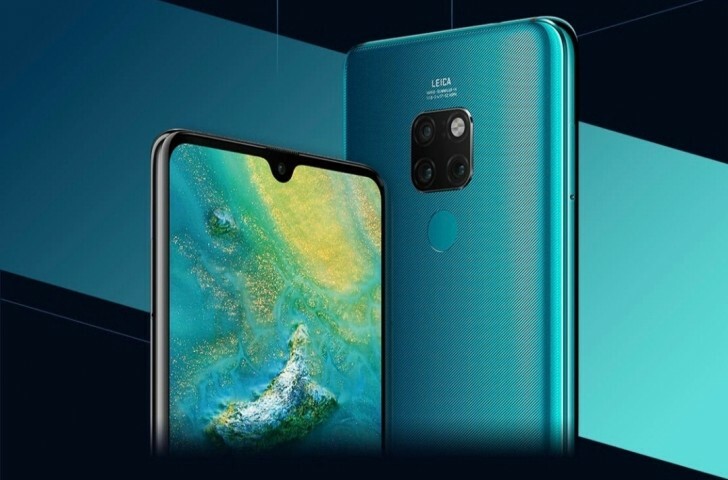 The Huawei Mate 20 series smartphones also feature a triple rear camera setup and support 40W Huawei SuperCharge technology as well. The Mate 20 Pro is the most premium model that also features an in-display fingerprint sensor. 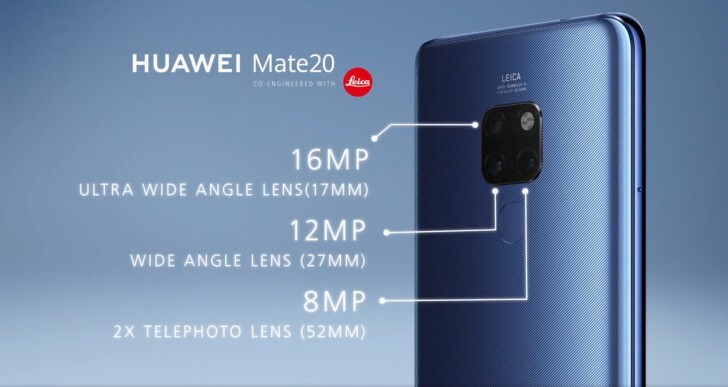 Huawei also introduced a phablet dubbed as Mate 20 X at the event that comes with a big 7.2-inch display and support for Huawei’s M-Pen. The Huawei Mate 20 price starts at EUR 799 (Rs. 67,800 approx.). The Huawei Mate 20 sports a 6.53-inch full-HD+ (1080×2244 pixels) RGBW display with 18.7:9 aspect ratio. While the Mate 20 Pro sports a 6.39-inch QHD+ (1440×3120 pixels) curved OLED display with a 19.5:9 aspect ratio. Both the phones run EMUI 9.0 on top of Android 9.0 Pie. 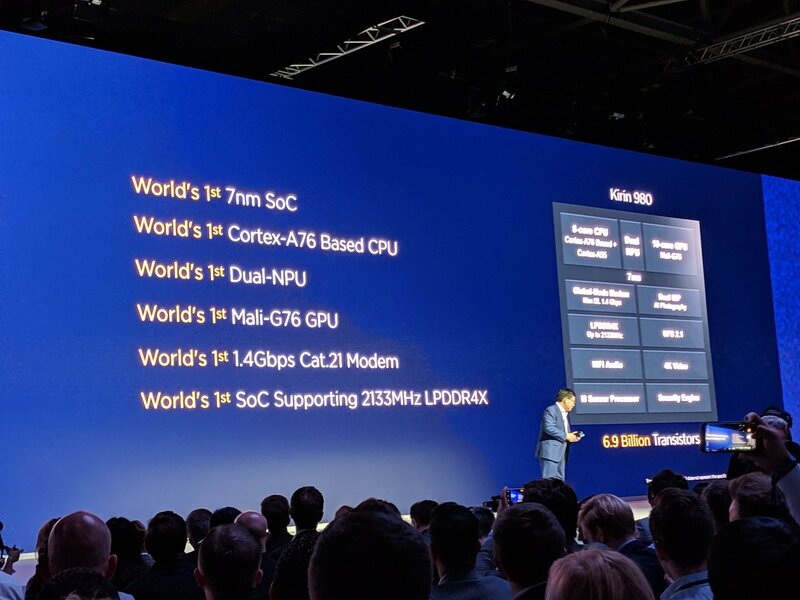 The Huawei Mate 20 series smartphones come with the new HiSilicon Kirin 980 chipset which is a 7nm chipset with built-in AI core. It provides 20 percent improved performance and 40 percent more efficiency than 10nm chipsets. It is paired with the Mali G76 GPU for a more intensive gaming experience. The chipset is also consist of a powerful NPU for a better and faster AI experience. Both the phones sport triple rear camera setup powered by Leica. The setup on Mate 20 consists of a primary 16mp ultra wide angle sensor with f/2.2 aperture, a 12MP secondary wide angle sensor with f/1.8 aperture, and an 8MP tertiary telephoto lens with f/2.4 aperture. All of these sensors are coupled with LED flash and Super HDR. 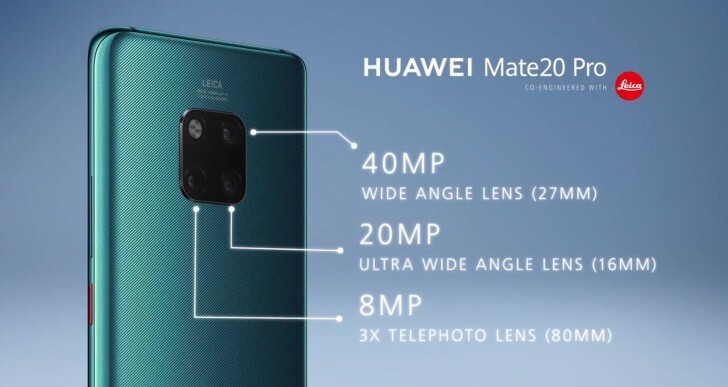 Huawei Mate 20 Pro, on the other hand, gets a primary 40MP primary wide angle lens with f/1.8 aperture, a 20MP secondary ultra wide angle sensor with f/2.2 aperture, and a third 8MP telephoto lens with f/2.4 aperture. These sensors are also coupled with LED flash and Super HDR. Both the smartphones sport a 24MP RGB selfie camera with support for 3D facial unlocking. It also comes with 3D Live Emoji with GIF and MP4 files support. The cameras in both the smartphones also provide features like AI photography, 4D predictive focus, and AI HDR. They take pictures with 21:9 aspect ratio which is better than a traditional 16:9 image. The Mate 20 pack a 4,000mAh battery, while Mate 20 Pro has a 4,200mAh battery. 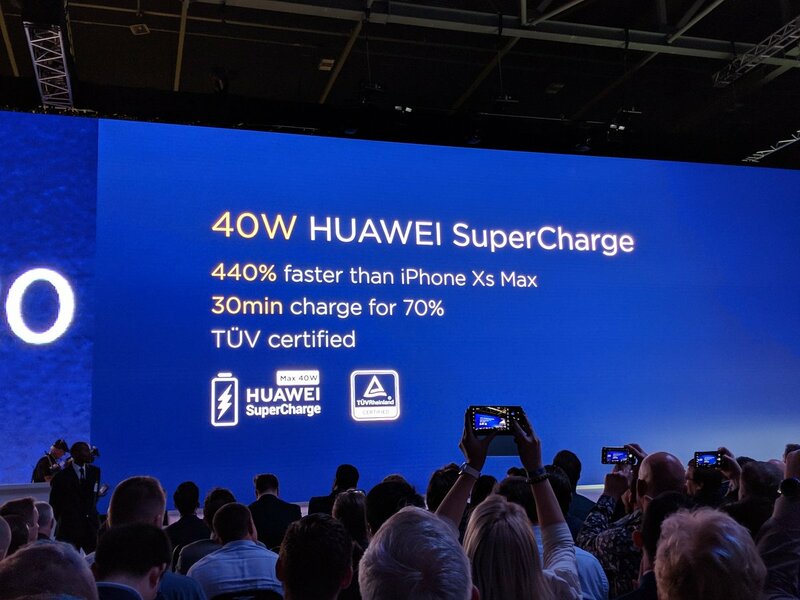 The battery on the phones supports the new 40W Huawei SuperCharge technology. The SuperCharge adapter charges 21 percent of the battery in just 10 minutes. The Mate 20 series smartphones also feature reverse wireless charging which let you charge other QI wireless charging supported devices. The Huawei Mate 20 series smartphones also come with a better cooling solution to keep the smartphone cool. The Mate 20 Pro also comes with an in-display fingerprint sensor to unlock the smartphone alongside face unlock tech. In terms of connectivity, the handsets come with 4G VoLTE, Wi-Fi 802.11ac, Bluetooth v5.0, GPS/ A-GPS, and USB Type-C port. The Huawei Mate 20 X is a phablet with a 7.2-inch OLED display, a large 5,000mAh battery, and a Leica triple rear camera setup just like the Mate 20 Pro. The Mate 20 X also features IP53 water and dust resistance rating and vapor chamber cooling system. It comes with support for the Huawei M-Pen. The Huawei Mate 20 starts at EUR 799 for the 4GB+128GB variant while the 6GB+128GB model costs EUR 849. The Huawei Mate 20 Pro price is set at EUR 1049 for the only 6GB/ 128GB variant. Both the phones are available in select European markets in Emerald Green, Midnight Blue, Pink Gold, Twilight, and Black colors. The Mate 20 X is priced at EUR 899 for the only 8GB+128GB variant. It will be available from October 26 in select European markets in Midnight Blue and Phantom Silver color options. There is no information on Mate 20 series availability in India yet.